The beta version of iOS 12 was showcased on WWDC in San Jose. 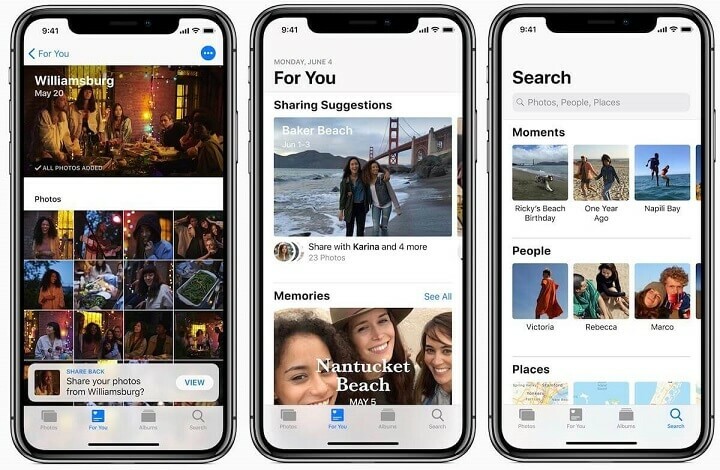 The new improvements in Photo Sharing and Photo Search features of the Photos app were introduced. iOS 12 will be released this fall. iOS users are looking forward to an enhanced Photos experience with the new iOS release. The new photo sharing feature is quite interesting. It can be accessed in the For You tab of the Photos app. The feature uses the faces that you have trained your iDevice to identify and then uses that trained data to figure out who you were hanging out with. Step 1: The sharing comes through the feature called Sharing Suggestions. This feature recognizes photo contents and based on the content, it suggests who you may want to share them with. Step 2: End-to-end encryption is used for photo sharing. Step 3: This new feature will also work with the photos of other users to suggest photos back and forth. This will allow both users to have an entire collection of photos from the specific event. Step 4: Photos are shared in full resolution. Step 1: Search suggestions will be based on the places you have been to, people you have photographed, and the recent events you have attended. Step 2: The suggestions will be automatically refined as you begin typing and the search results will get even more accurate if you use more than one keyword. Step 3: You will be able to search using keywords like flowers, dogs, cars, and more. Step 4: Search suggestions will highlight the important moments from your photo log as well as important places, people, and so on. Step 5: Search results will be organized slightly differently. Photos app will be able to search and identify photos by the type of events such as sporting events or concerts. If you want to share your iPhone photos to your computer, then it is recommended that you use iMyFone TunesMate. This is a third-party iPhone file management and file transfer tool that makes it convenient for iOS users to manage and transfer content between their iDevice and their computer. 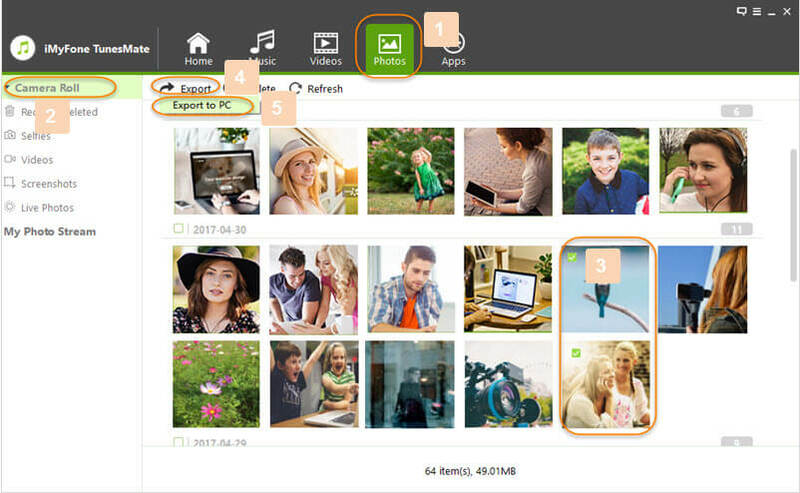 By using TunesMate, you will be able to easily select the photos that you wish to share to your computer and then transfer them to a desired folder on your computer’s hard drive. You can also share all your iPhones to your computer at once with a dedicated feature of TunesMate. Scan photos on your iPhone and share them to your computer conveniently. Delete and backup multiple photos simultaneously. 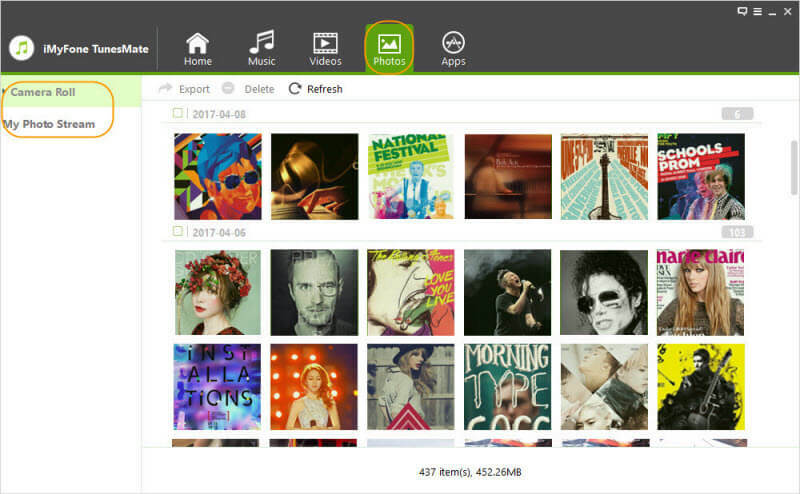 Photos shown in TunesMate are organized by folders. This makes it easier for you to choose the photos that you wish to manage or transfer. Manage and transfer many other kinds of media files including music, videos, playlists, audiobooks, ringtones, etc. Bypass annoying limits of iTunes for iPhone file management and syncing. Step 1: Open TunesMate on your computer. Step 2: Connect your iPhone to your computer via USB cable. Step 3: Click on the Photos tab on TunesMate. It will list all the photos stored in your iPhone. Step 4: Select the photos that you want to share to computer and then click on Export > Export to PC. 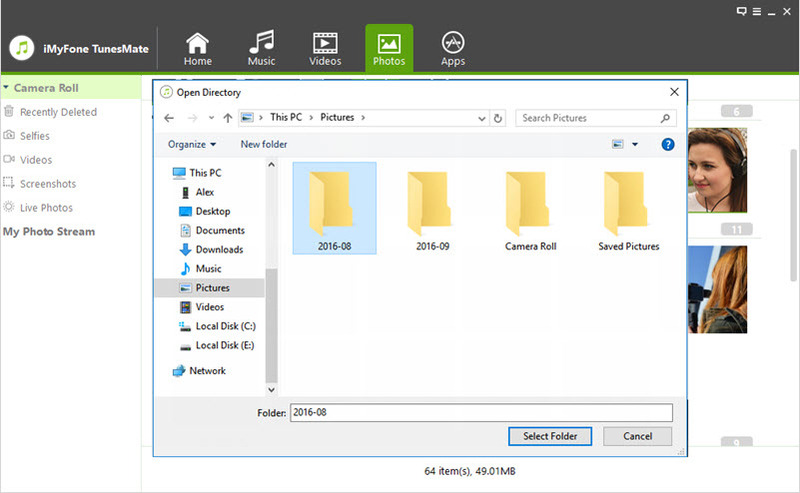 Step 5: Now navigate to a folder on your computer where you want to store the photos and then click Select Folder. The export process will begin. 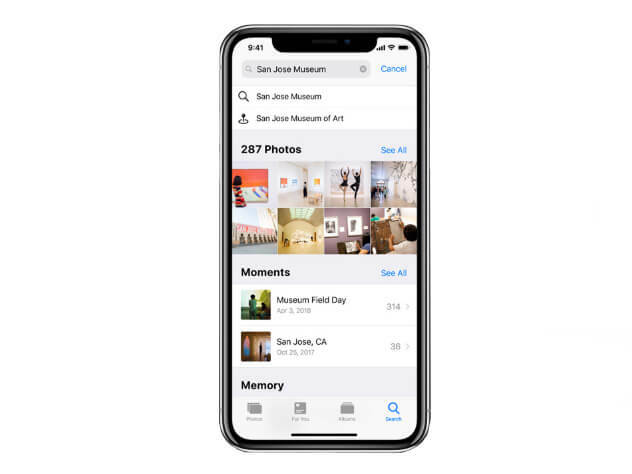 iOS 12 promises to bring some new and improved features in the Photos app. The new and improved photo search and photo sharing features will surely enhance user experience. However, you cannot use the photo sharing feature to share iPhone photos to your computer. For this purpose, it is recommended that you use iMyFone TunesMate.